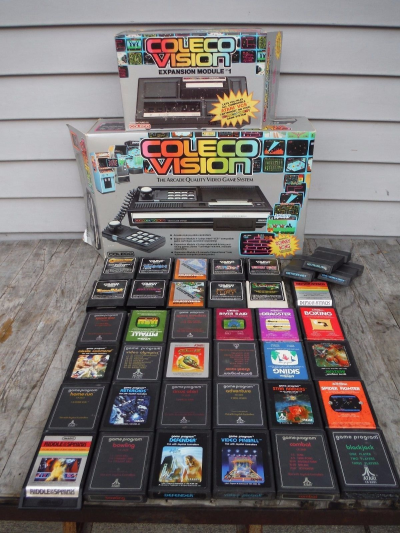 ColecoVision, Coleco's powerful rival to the Atari 2600 and a successful 8-bit console on its own right that was essentially killed only during the videogame crash, is home to some excellent, classic games, and also a highly intriguing gaming machine. Handily, you can grab a boxed one, along with the equally boxed Expansion Module 1 and 30 games via this ColecoVision eBay auction. The games are both for the ColecoVision and the Atari 2600, and, well, the Module 1 allows them all to be played on the console. It is after all an expansion that grants the ColecoVision Atari 2600 compatibility. Seller ships to many places worldwide.